It happens to all of us. Traffic from a terrible accident on the highway makes you late for an important meeting. You receive a harsh email out of the blue. A conference speaker cancels at the last minute and you’re left scrambling for a replacement. Or, if you’re like me, you release a project you spent weeks working on and then discover there’s a typo on the front page. Sometimes, if you’re really unlucky, it all happens on the same day. 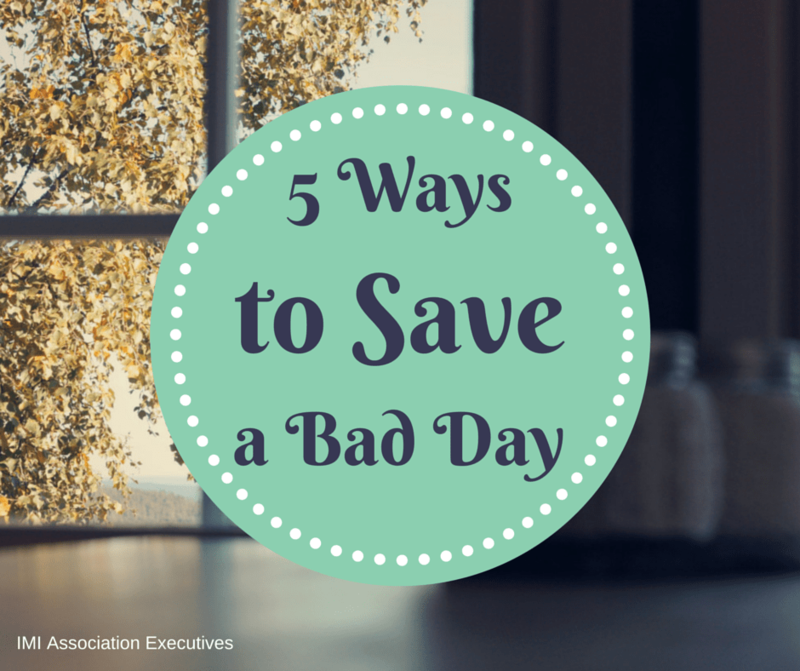 What can you do to get back on track when your day is off the rails? Take a break. Get a change of space for a change of perspective. Go breathe some fresh air. Grab a cup of coffee. Do what works best for you to untangle your brain from the issues in front of you for 5-10 minutes. If you enjoy journaling, write down your concerns on paper. If you’re a talker, find a private place, like your car, to call up a friend and spill some feelings. Text a friend. Whatever you do, be discreet. You don’t want a misunderstanding in the office to make a bad day even worse. Work on the things you can control. Let the rest go. Mistakes are frustrating but they can be really great opportunities to find the weaknesses in your system. Don’t be afraid to examine where the problems originated from and work out a way to avoid them in the future. It’s only a true “failure” if you don’t learn anything from it. But, don’t kick yourself over something that’s out of your control. Be careful not to let frustrations overshadow the things that are going right today. Take a couple minutes to recognize your accomplishments and wins for the day. I have a “Thanks and Kudos” file where I save kind notes from clients and coworkers. When I’m feeling discouraged, I look back at those notes and see that there have been many, many high points in my journey. It’s a good feeling. Missed a meeting or a deadline? Call the person to apologize and reschedule. Too many projects vying for your attention? Make a list of your tasks, prioritize them, and handle the most important tasks first. You may not be able to accomplish everything you hoped to do, but with a little strategizing you can make the best of the rest of your day. How do you get back on track? Please share your tips in the comments below!